A school project of an 8th grade class was initiated by their teacher, to investigate the collaborations between academia and industry in the framework of the European Commission projects. The class divided into couples, with each couple empowered to find a project in a field of science they are attracted to and identify a project on the Cordis website. 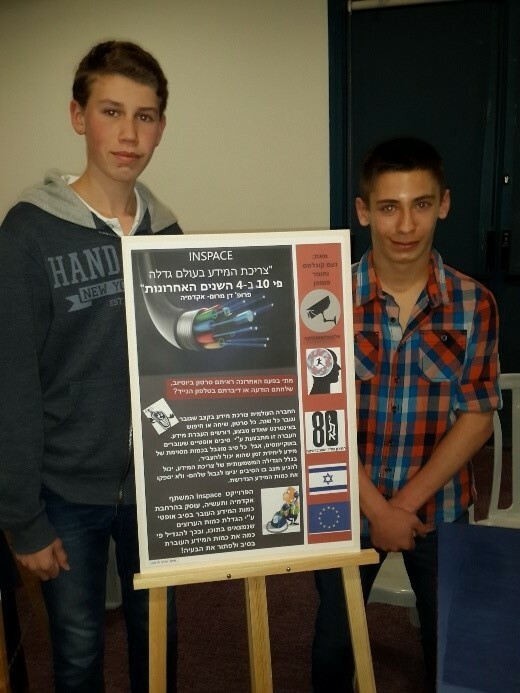 Thus a pair of students, Tomer Pompan and Noam Koglemas, approached me for learning about the INSPACE project that they identified as an interesting topic. The students visited prof. Dan Marrom's office, armed with questions that they had prepared in advance, and heard about the project, the problems it tackles, and the offered solution that is being investigated. They also visited the lab and saw some SDM experiments. Afterwards they visited Shalva Ben Ezra at Opsys, heard a lecture from him about the role of industry and saw the testbed being developed. On the eve of February 19, the class had a gala event to celebrate their project completion. 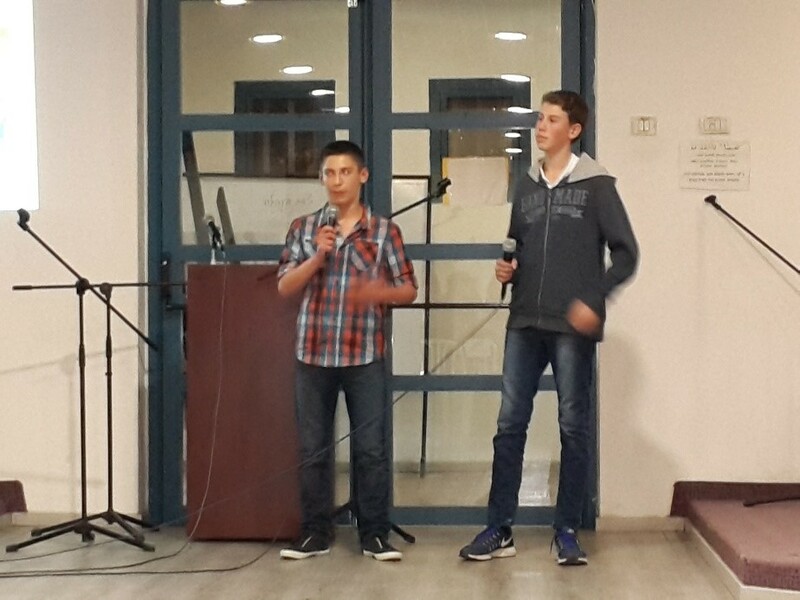 The event was attended by the class and their teacher, the pupils’ parents, the school principle, the participating professors were invited, as well officials from Israel Innovation Authority and ISERD (Israel-Europe R&D Directorate). Each couple had prepared a poster describing the project they investigated, and gave a five minute presentation of the entire learning experience for them (about the project, the need for industry-academia collaborations, and the challenges they faced). Photos from the event appear below. ISERD will also highlight the class activity in an upcoming newsletter.